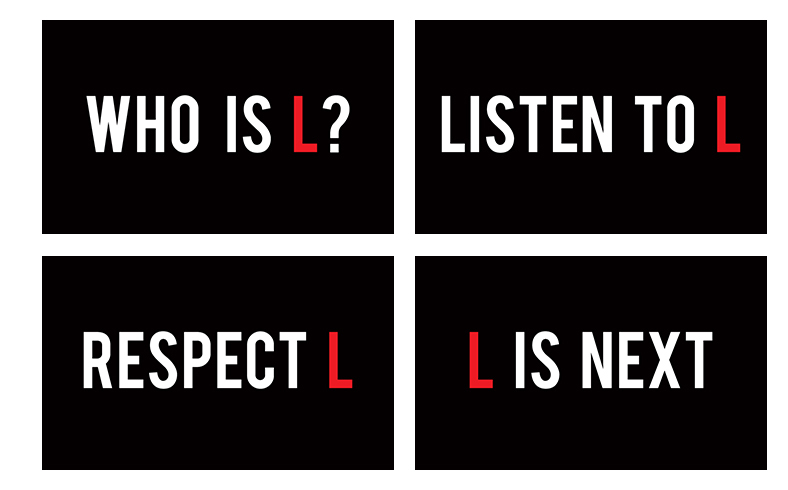 Notaurious contacted me about designing a set of promotional posters for his recording artist, Rapper L.
Part mystery and part buzz campaign, Notaurious and I threw around some sayings for this poster series. To keep with the theme of shrouded secrecy for the time being, I decided to throw in the 'L-phabet' and 'Numbers' graphics. 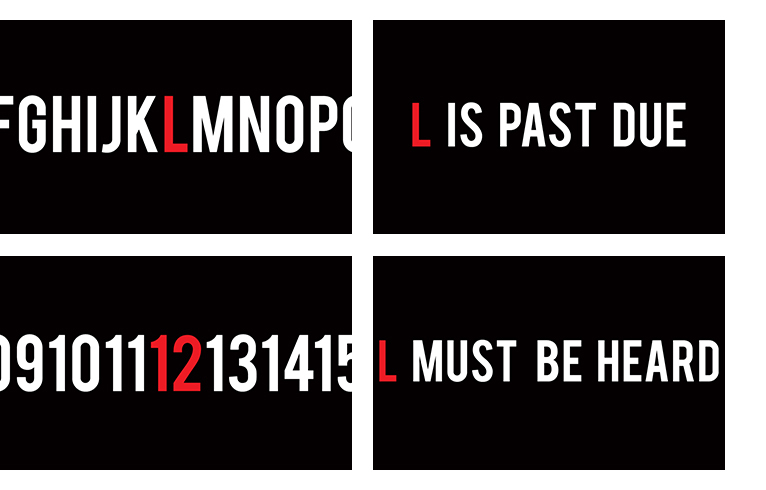 Both vague, yet still tie back in with L's '12th Letter' identity. Black/white kept it simple, but a hit of red on the L's also set this one off.